There are several business opportunities in the country but the fact is network marketing has produced more millionaires than any other industry. Paul Zane Pilzer, a Nobel Prize winning economist and author said, of all the entrepreneurial opportunities available today, one of the most important is direct selling, also called network marketing. 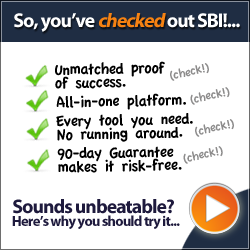 This business opportunity is unique because it provides you the chance to start the business with low investment and make abundant wealth if you follow the principles. If we consider that the chances of making abundant wealth is slim if you have to earn income solely from your own effort. But network marketing business allows you to earn income from other people’s time and effort. The business also allows you to keep making money month after month from the work you have done once. One of the key reasons why many people are failing in network marketing opportunity is because they join the wrong company. My advice to you is to join an established, financially stable company that has products that is in high demand with good compensation plan. 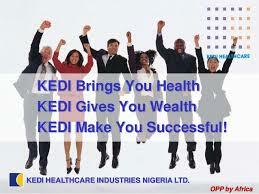 For me, such a company is KEDI HealthCare! Why did I say so? As they the proof of the pudding is in the eating. This is because I am involved and know what they offer. Unlike other programs that I have been involved one time or the other in my career for a decade as a consultant, this one allows you to eat your cake and still have it. How does KEDI marketing plan work? To become an international distributor with KEDI you need only N2,500 to register and have your ID card and educative manual. You start your business as a star 1 distributor. As you build your business so also does your direct bonus percentage increase from 25% for star 4, 30% for star 5, 35% for star 6, 40% for star 7, 45% for star 8. There are honorary awards ranging from cars to leadership bonus. The rise continues to the level where one begins to also enjoy part of the global profit of the company. 1. To sell the company’s products or services. 2. To recruit more distributors to sell the company’s products or services. As a distributor you get sales commission on your direct product sales. You also get a bonus on the sales of the distributors in their down line. There are also performance incentives available for reaching certain levels.